If you are none of the above we would be happy to consider your application. Please fill in this discovery form it will only take a minute. This will ensure we have all the information we need in order for us to do a thorough evaluation of your website. 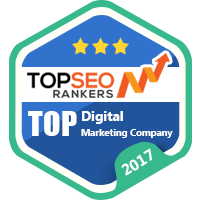 Once again thank you for taking the time to consider Redmond Digital Marketing. We anticipate getting back to you within 2-3 business days. What is the title of your position within the company? Please list radius and specific cities/suburbs you would like to target. What is your budget range for marketing? What does a success full digital marketing campaign look like for you?